Himachal Pradesh is the northern frontier of India, and most of its cities are looked upon as a pleasant weekend gateway. Amidst all Kullu Manali takes the top beautiful place of India. Kullu Valley, located at the banks of Beas River, is home to the lovely towns of Kullu and Manali. They are mostly identified as a single destination because of their immediate closeness. The Kullu Valley is renowned for its several temple and stunning hills, and eye-catching destinations impress a large number of visitors every year. Kullu Manali is one of the best tourist places in Himachal Pradesh and is usually visited by enormous tourists and pilgrims. Dazzling glades, green valleys, snow-clad mountains, and the evergreen Beas river makes this place a must to visit when you are planning to explore Himachal Pradesh. Adrenaline junkies need to visit this place at least once in life. You can indulge in activities like trekking, paragliding, skiing, mountaineering, camping, and mountain biking. If you want a place where you could find solitude, beauty, and calmness at best, then pack your bags and reach this city of bliss. Not just the natural marvels, but you will also get the chance to see the beauty of India with some of the highly possessed historical monuments here. 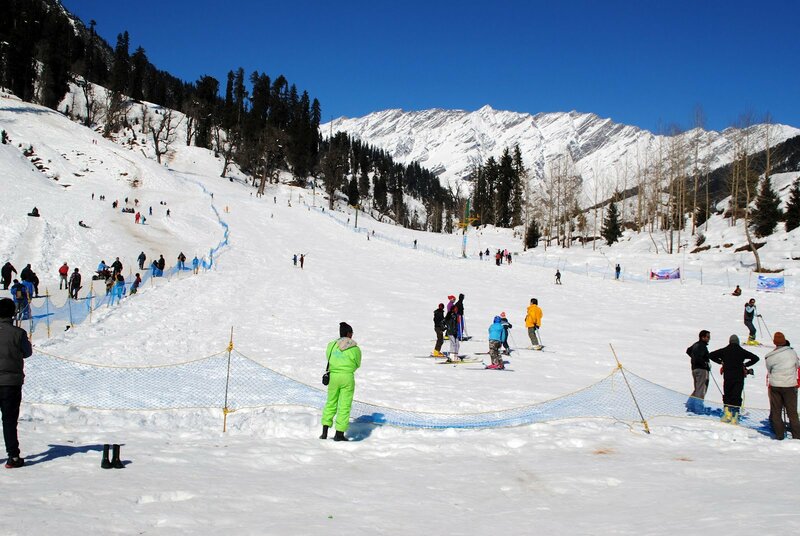 Famous with the name of ‘Snow Point’, Solang Valley is well known for hosting several winter adventure sports, such as parachuting, paragliding, and skiing. It is one of the loved trekking destinations in the area and is situated at an approximate altitude of 2560 m above sea level. The scenes from the top are spectacular and offer sights to snow-covered glaciers and mountains. In simple words, it can be said that Solang Valley is popular for nature, adventure and photography. You can also enjoy Zorbing and Horse riding here. Covered with scenic views and snow peaked mountains, Gulaba is a picturesque village that comes on the way of Rohtang Pass and proves to be a great option whenever Rohtang Pass is closed. People here can relish enormous snow activities and can also spend some quality time away in the lap of stunning topography. The shooting of many Bollywood movies has been done there. It is one of the best places to visit in Kullu Manali. You can enjoy trekking and snow activities in Gulaba. From Manali, Vashisht Hot Water Springs is situated at a distance of 4-5 km and is located across the Beas River. Vashisht’s village is popular for its Hot Water Springs and is a famous beauty among pilgrims and visitors. You can enjoy the season of Springs in peace at the Turkish-bath homes. This village is also well known for its stone temples which are devoted to Vasistha, a local saint. What you can do at Vashist Hot Water Springs? You can spend time at the shrine of Vasistha, trek across the hills, and also take a tip in Water Springs. 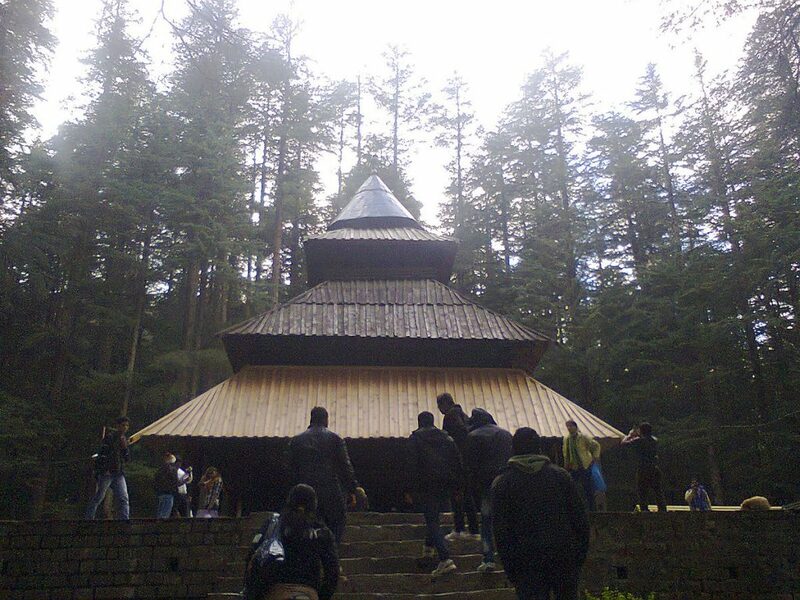 Built in 1553, Hadimba Devi Temple is covered by thick deodar forests and located at a top of the hillock. Hadimba Devi is devoted to the Rakshasa Hidimba. The structure of the temple is constructed in a different architectural design that somewhat intersects Indian architecture with the 1 appointed in Buddhist monasteries. The construction is done basically of wood. After 70 meters away from the temple, there is also one more temple devoted to Ghatotkacha, the son of Hidimba and Bhima. You can spend time by visiting Rahala Falls and Museum of Himachal Culture. You can also do trekking at Himalayan trails and can also pay your obeisance at Siyali Mahadev Temple. 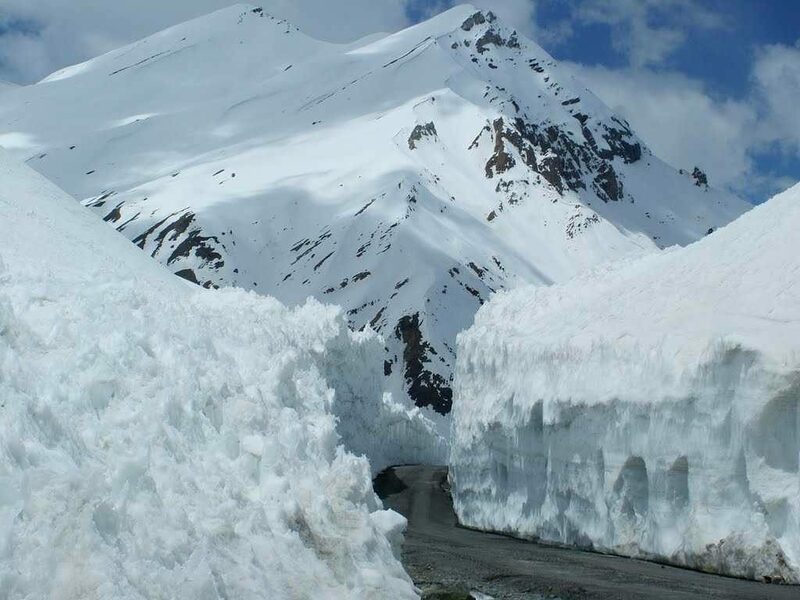 Situated in the Eastern Hills of Pir Panjal Range, Rohtang lies at an altitude of 3978 meters above sea level. Rohtang locates at a charming destination with the river Beas and Chenab that situates to the northern and southern side of Rohtang Pass. This place is renowned for its charming views of the valley and several unseen waterfalls. If you are planning to visit Kullu-Manali, then Rohtang Pass is a must place to cover. You can ride in Jeep Safari, enjoy adventure sports, capture the snow-peaked mountains and spend time at Nehru Kund enroute. Also known as Heart of Kullu Valley, Beas River has several water sports and camping sports. Beas derives from the Himalayas and passes through 470 km of river Sutlej in Punjab. If you are an adventure lover, then this is your place. You can have fun doing River Water Rafting and River Crossing. You can spend quality time with your loved ones as Beas River has picnic spots. Also, you can pay a visit to Pandoh Dam. If you want to traverse the less traveled ways, then Kothi is perfect for you. This place is calm and away from the flurry of Manali. Every corner and nook of Kothi provides amazing picturesque points to the nearby valleys and surroundings hills. This village has charmed the creativity of poets. You can pay a visit at geothermal springs, enjoy a restful vacation at the closer resorts, and can also do trekking. 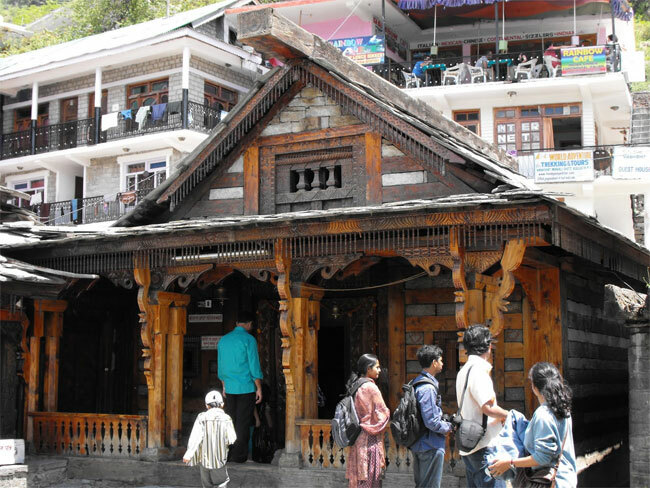 For both Hindus and Sikhs, Manikaran is a significant pilgrimage site that is connected with enormous legends and tales. People visiting Kullu Manali make it a destination to stay for a visit to pilgrim centers and hot springs. By giving here a visit, you can enjoy the quiet and calm atmosphere. You can visit Shri Guru Nanak Ji Gurudwara and Shiva Temple to pay your obeisance. A jewel locates secret in the Himalayas, Kasol is a heaven for all the lovers of nature. It is not densely crowded by people and also gets a less relatively tourist population than other destinations in Himachal Pradesh. Parvati Valley runs via this charming place and so, it is visited by enormous hikers, adventure lovers, and backpackers. It is also known as ‘mini-Israel’ because it alludes an important Israeli crowd. You can shop for gemstones here, try Israeli food, and tour Kheer Ganga. You can also go for rock climbing and trekking. Bhirgu Lake is a place to view, which is named after the ancient Indian sage Maharishi Bhirgu. It situates closer to Rohtang Pass and can be visited only by trekking either from Vashisht Hot Springs or Gulabo village. As per the localities, this lake never freezes and also, its water is contemplated to be sacred. From here, the lovely views are eye-catching and can shock anyone. Trekking and camping are the best activities that can be done here. 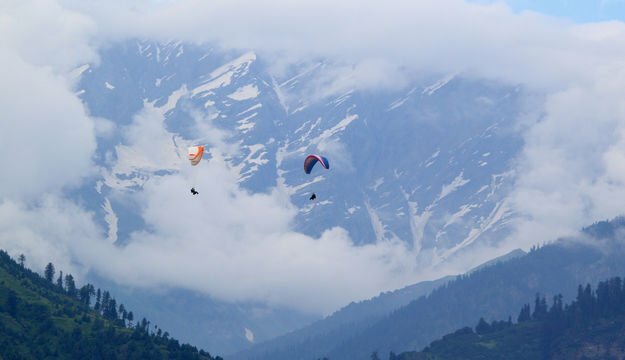 There are also other distinct attractions in Kullu Manali that add Jogini Falls, Naggar Village, Bijli Mahadev Temple, Mountaineering Institute and more. In Kullu, Manali hill town is one of the top best places to visit.